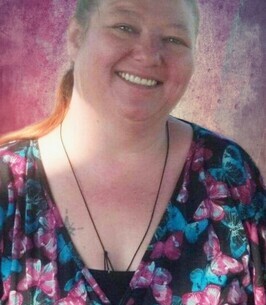 Jodie L. Wickham (Santiago), of Dunkirk, N.Y., 47, died unexpectedly on Friday November 16, 2018 at the UPMC Hamot in Erie, Pa. She was born in Dunkirk on February 17, 1971. Jodie is survived by her parents David and Jane (Jones) Sittman of Graham, North Carolina, two children: Jessica Wickham (Joshua Adams) of Dunkirk, New York and Elizabeth Wickham of Fayetteville, North Carolina, two grandchildren: Angelynn and Tyberius Mitchell, a brother, David (Elisa) Sittman, Jr. of Graham, North Carolina, and a sister, Jennifer (Thomas) Wickham of Dunkirk, N.Y. She is also survived by several nieces and nephews. Jodie is predeceased by her husband of 23 years, Terrance R. Wickham, Jr. who died in 2013.
larsontimkofuneralhome.com. Arrangements by David J. Dengler, LARSON-TIMKO Funeral Home. To send flowers to the family of Jodie Wickham (Santiago), please visit our Heartfelt Sympathies Store. We encourage you to share any memorable photos or stories about Jodie. All tributes placed on and purchased through this memorial website will remain on in perpetuity for future generations.